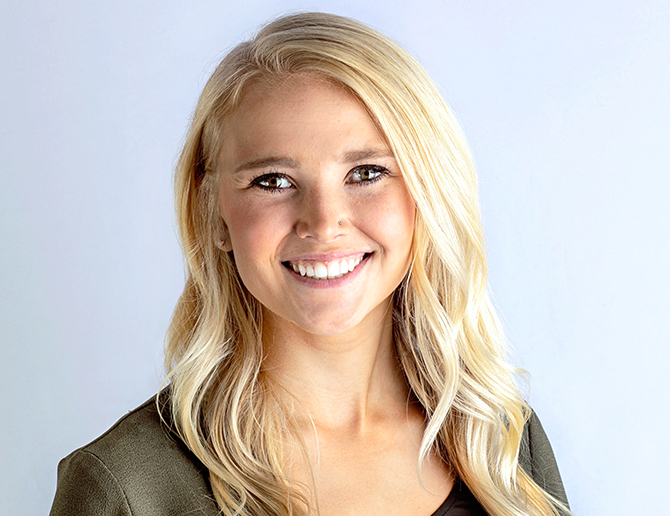 We’re excited to announce that Tessa Kopren has been hired as Digital Marketing Associate. Tessa recently completed a summer internship with us and is finishing her major in public relations and double minor in marketing and social media at South Dakota State University. She will graduate in December. Tessa’s ambition and talents are a perfect fit for the Caliber team. Hiring her on from the internship was an easy decision. It is great to officially put her talents to work within our agency services. Tessa will be responsible for developing content in many forms; digital media management, copywriting and assisting in social media strategies. Along with content development, she will analyze and evaluate clients’ digital efforts to make sure all messages are on point. Tessa grew up in northwest South Dakota. While in school, she managed social media accounts for the University Program Council, the Public Relations Student Society of America chapter and the Residence Hall Association. She was also involved in a number of other clubs and organizations.